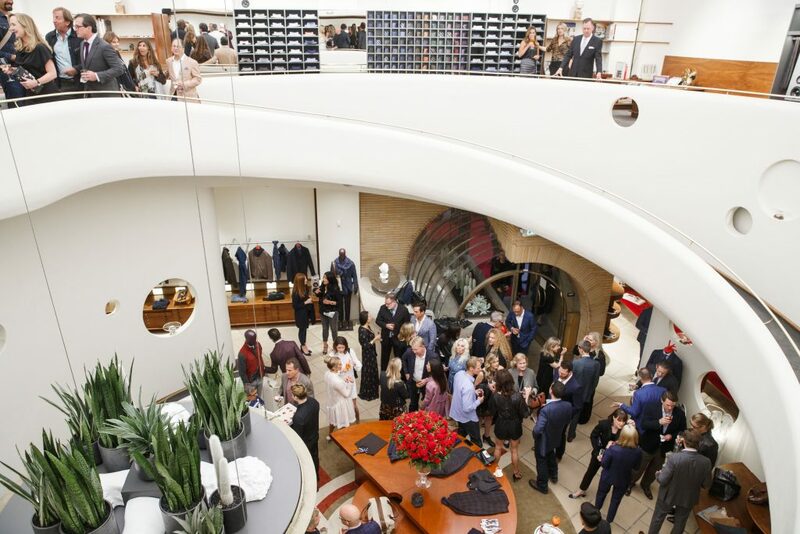 Luxury Italian lifestyle brand Isaia opened its first boutique in San Francisco, located in the historic Frank Lloyd Wright building at 140 Maiden Lane, on Friday, September 22. Formerly home to the V.C. Morris Gift Shop, Isaia San Francisco on Maiden Lane, boasts 7,900 square-feet of space, with 4,000 square-feet dedicated to retail sales. Each design decision was made after a lengthy analysis by designer Ferrari Architetti of architectural firm Lochte Architectural Group, and the preservation planners Page and Turnbull, who supervised all initiatives. The aim was finding the perfect balance between Isaia aesthetic and Frank Lloyd Wright’s vision and work. All the original fixtures have been maintained and integrated with new elements; furniture from Isaia Concept have been modified, where needed, in order to harmonize with the unique space in which they had to fit in. It was important that the colors and materials used, reflected this approach. Since Isaia is known for their Mediterranean red color and unique artifacts indigenous to the Bay of Naples, it was important to find the right vintage pieces that didn’t overpower the design. 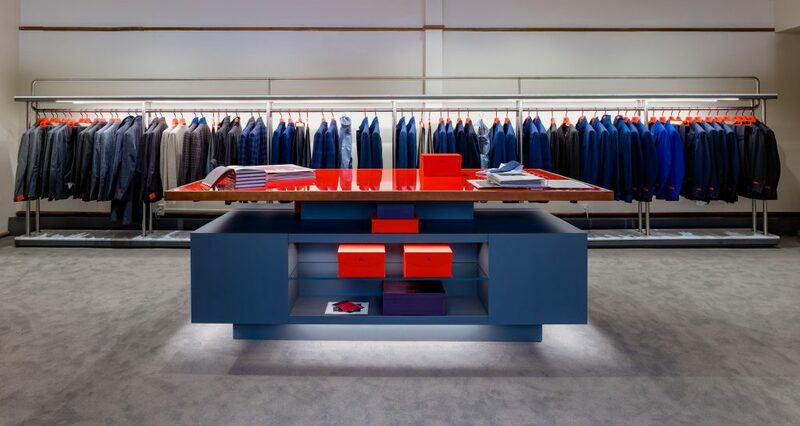 Overall, Isaia San Francisco represents company’s continued commitment to opening its stores in coveted locations that are complete with architectural integrity and intrigue. 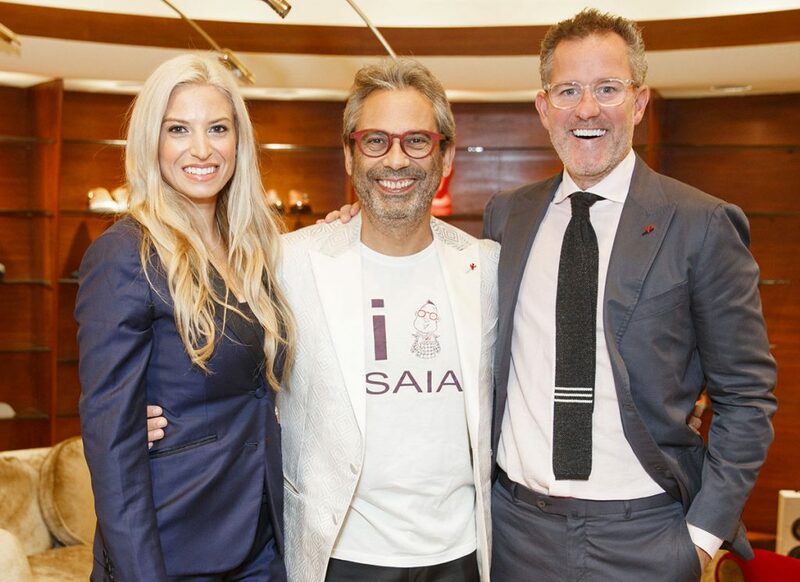 From its boutique in Capri, which was created out of a former home, to its 5,400 square-foot flagship on Madison Avenue, Isaia creates shopping destinations unlike any other worldwide. To this end, the iconic vintage Campari bar, red lacquered piano, and relaxed seating area that are part of all of Isaias shop designs, can be found in San Francisco. 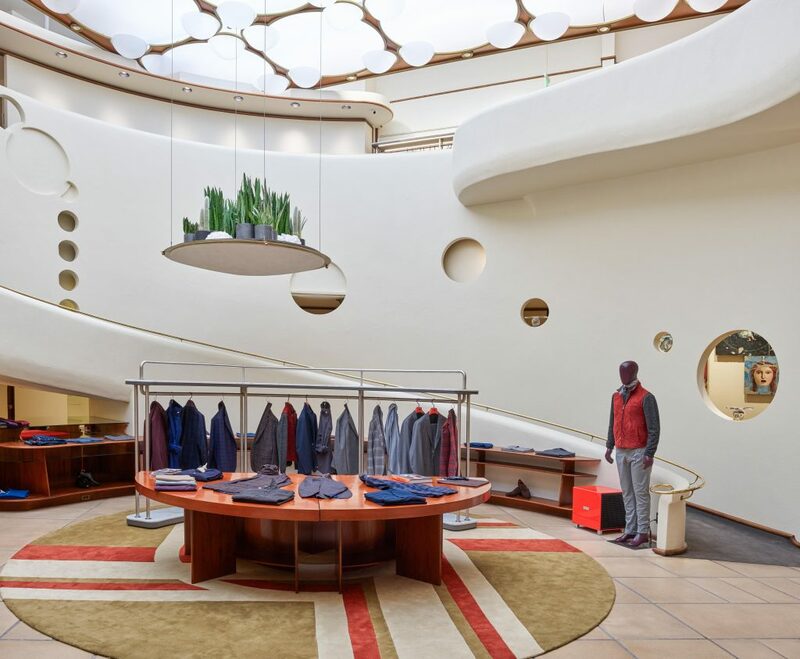 Isaia San Francisco will carry a mix of sportswear, tailored clothing, and made-to-measure, with exclusive product options available to customers. 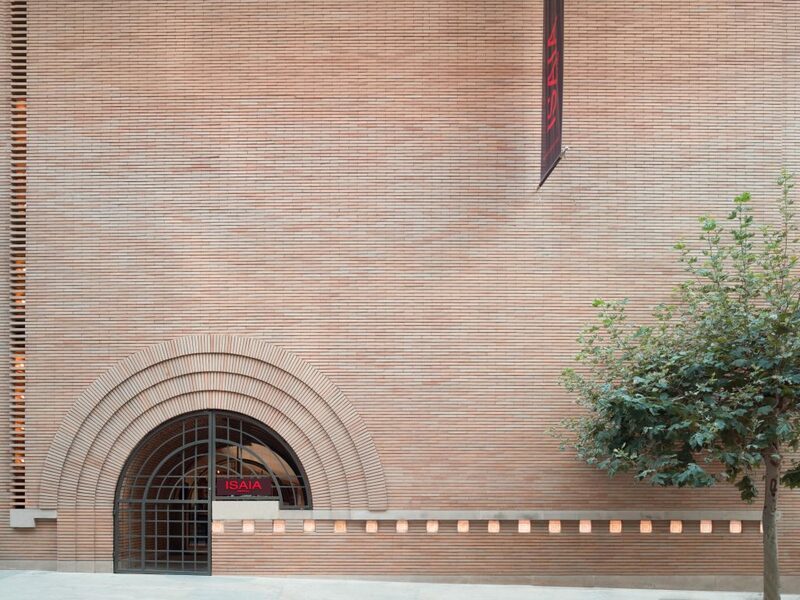 In addition, Isaia San Francisco will boast a Frank Lloyd Wright Library in the store for those who wish to borrow books on the famed architect’s designs, and provide historical information, curated by the Frank Lloyd Wright Conservancy. Further programming including a rotating art gallery, Architecture lecture series, and other notable partnerships will be rolled out in late 2017, early 2018.